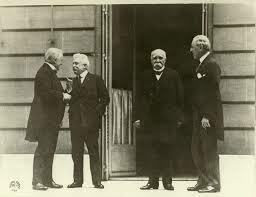 End of ww1 marks when the citizens of the US wanted to be an isolationist country. Although Wilson desperately wanted to be a leading role League of Nations, but the citizens were committed to not get into foreign affairs. Hence why the League of Nations failed. Neutrality Act of mid 1930s are series of that were passed I response to growing tensions I Europe and Asia. The act was to prevent American from getting involved in foreign wars. These acts formed from people support of isolationism and pressed by Nye Committee. US Isolationism was a foreign policy adopted by the 2 republican presidents of the 1920s Harding and Coolidge. The doctrine aimed self-advancement to make the US self-reliant and staying neutral with foreign affairs. After invading China, japan attacked Nanjing. After evacuating Americans citizens Panay was attacked by German U-boat. Japan claimed that they didn’t see the US flag and apologized and payed indemnity. Cash and carry established in 1939 revised the Neutrality Acts so any ship could come to the US port and carry away anything they could buy, this aided the allies. CDF wanted the US to prepare for war even though it was an isolationist country. it was also dedicated to assist Britain and France by providing material. 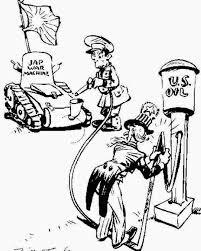 After Japan stated attacking China the US embargoed Japan of supplies oil and that intensified the relationships between the two nation. 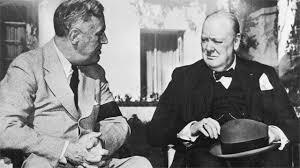 FDR’s the only president to serve more than 2 terms he believed it was his duty to continue serving, and lead through the crisis in Europe and help Britain. Selective Service act, was the first peaceful enlistment in US history, it asked for younger men to sign up for potential war. AFC opposed CDF and opposed every low key help the president had been giving to the allies. Base Destroyer deal was one with Great Britain to transferee to the British Navy in exchange to lease for British naval and airbase. It was a compromise to help Britain as he could not sell destroyers without defying the neutrality Act. Lend-Lease Act means to provide U.S military help foreign nations. The congress passed arms, material, many to the government of any country deemed vital to its defense. It helped out the Allies without really having to enter the war officially. 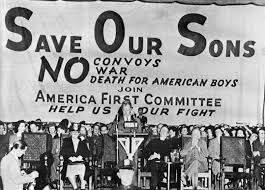 The same year as Lend-Lease aid was defended by Arsenal of Democracy speech done by FDR. Which promoted democracy towards other countries. US help to the allied was indirect and nonmilitary since the people wanted “their boys to stay home”, but by 1941 89% of the population didn’t want to enter opposed to the 94% prior. After Japan started attacking China, US ended shipments of metal and iron to Japan. As a result, US and Japan began to negotiate in 1941 but nothing was accomplished by the negotiations. That got FDR to make a decision of ending all Japanese assets and oil shipments. Hereafter, neither of the sides were willing to agree with the other sides terms. 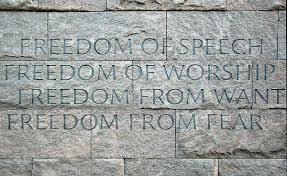 FDR’s “Freedom’s Speech” was about the four freedoms “the whole world” should fight for, and they were freedom of want freedom of speech, freedom of fear, and freedom of religion. He set out potential reasons to enter into war. 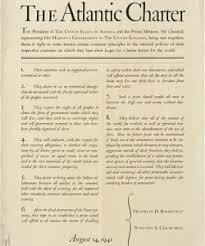 The Atlantic Charter was a statement that outline American war time aims. 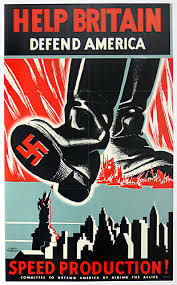 At this point America was willing to commit mostly everything to the Allied, like money, resources, machineries and anything else they might need except for troops. 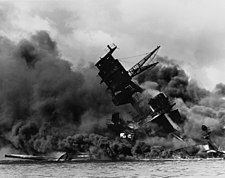 On December 7th of 1941, the japs attacked Pearl Harbor an island that was near Hawaii and had US naval base. The Japs managed to destroy dozens of battleships and almost 3000 people were killed in the attack. The attack had ended all talks about whether to stay an isolationist nation or to declare war, whereas couple of months earlier 88% of the population had not wanted to get involved in the war. The Infamy Speech was a speech done by FDR after the attack on Pearl Harbor, an hour after the attack America declared war against Japan.